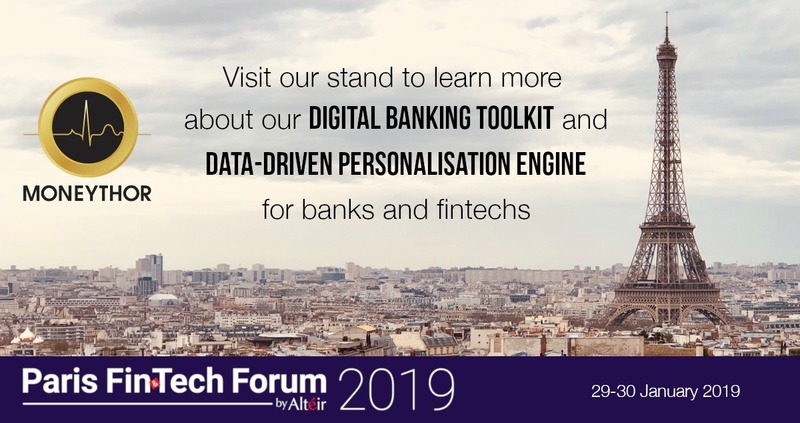 Moneythor will showcase its digital banking solution and data-driven personalisation & nudge engine at the fourth edition of the Paris FinTech Forum on 29-30 January 2019. The Paris FinTech Forum has become one of the largest and most exclusive European annual events on digital finance gathering executives from banks, fintechs, regulators and the investment community to discuss the latest trends and topics in the sector. Once again, the event is held at the prestigious Palais Brongniart, the former French stock market exchange in the heart of Paris. To arrange a meeting with our team at the event, please drop us a note.